Facebook Messenger always has a sidebar with all your recent chats, including a part of the last message sent, visible on the screen. This is useful for personal chats, but in a professional demo you'd want that to be hidden. That's what Messenger Demo Viewer is for. Source code is available at Github. You can report issues and send pull requests there. 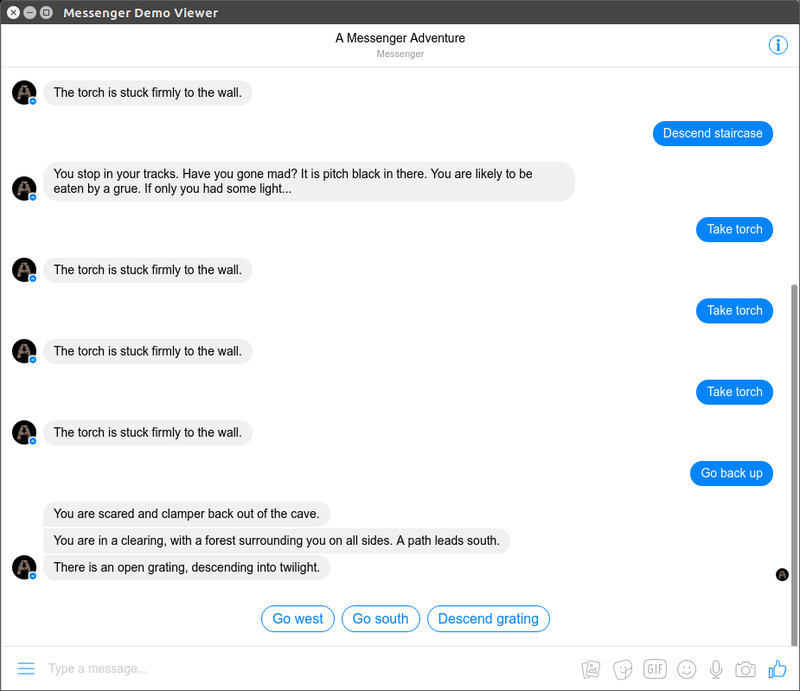 Showing the A Messenger Adventure chatbot. © 2019 Kilian Valkhof. ISC licensed. Not affiliated with Facebook or Messenger.